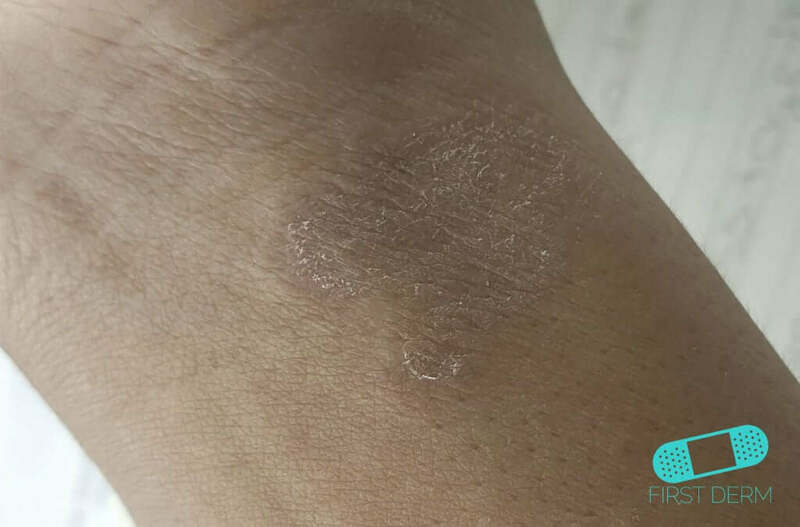 Lichen planus is a relatively common skin disease. 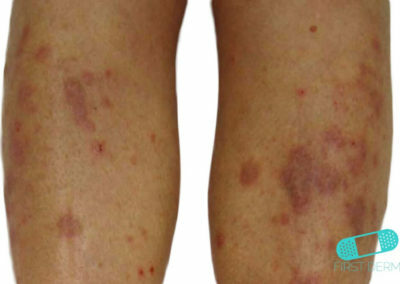 The Latin name, lichen planus, means red, flat rash. It is unknown what causes the disease, but it is most common for people between 30 and 60 years and is not contagious. 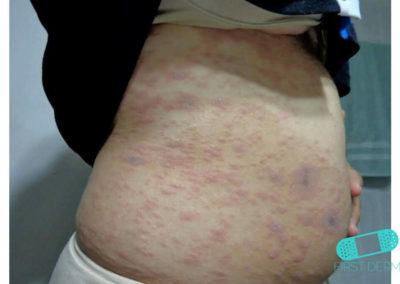 For most people, the rash disappears without any treatment within one to two years, but sometimes they remain longer. 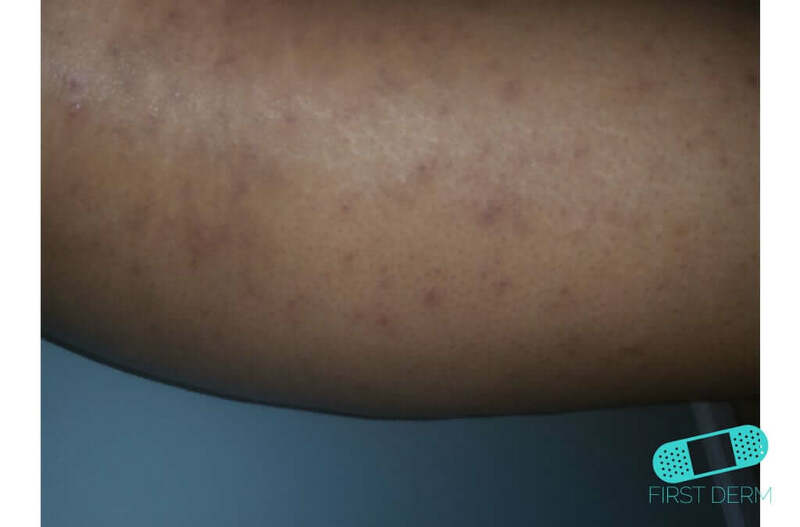 After the rash disappears, the affected area may have a brown or gray color for a few months. The disease may recur. 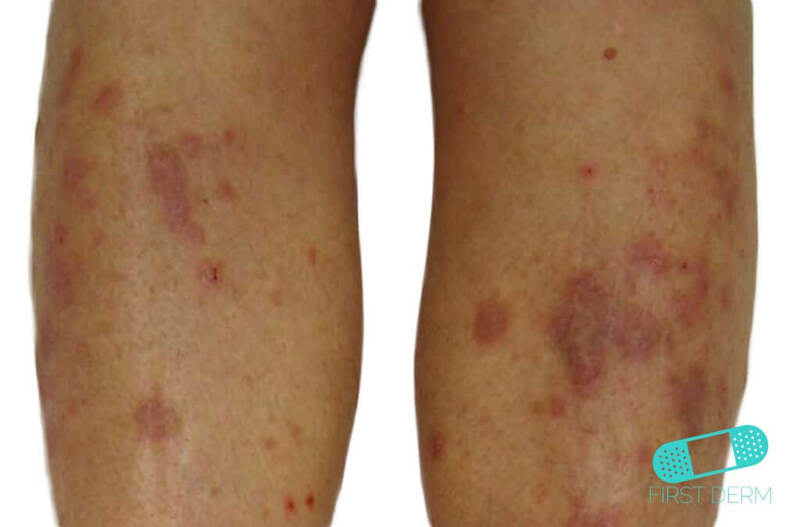 Lichen planus develops over one to a few weeks and is characterized by small, red-pink-violet elevated lesions. These flat spots may join together to produce larger thicker angular areas. The rash on the skin may cause itching. They are usually located on the wrists, ankles, or lower legs, but can also be spread throughout the body. 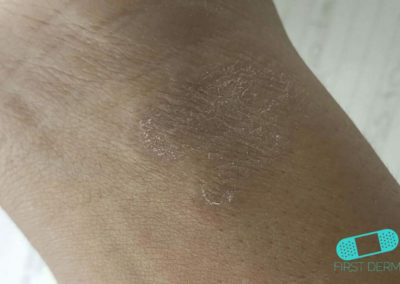 Sometimes the rash can appear in scars or cracks on the skin. Rashes may also appear on the mucous membranes of the mouth or the genital area, as white streaks or ridges. 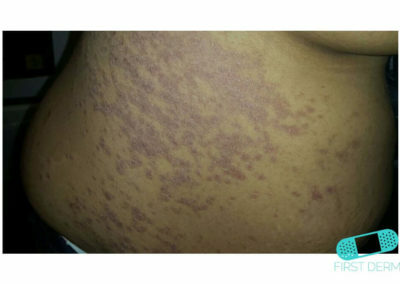 When the rash is located to the mouth, it is called oral lichen planus. If you have a rash on a mucous membrane (inside the mouth or on genital skin) it can be very sensitive and painful. 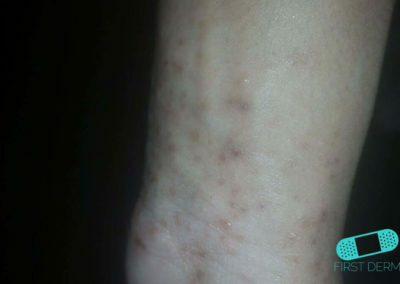 Lichen planus located on the calves are often thick and scaly. It may be helpful to avoid substances that can impair the skin’s own defense. For example, you should avoid stress, excessive heat or strong sunlight. 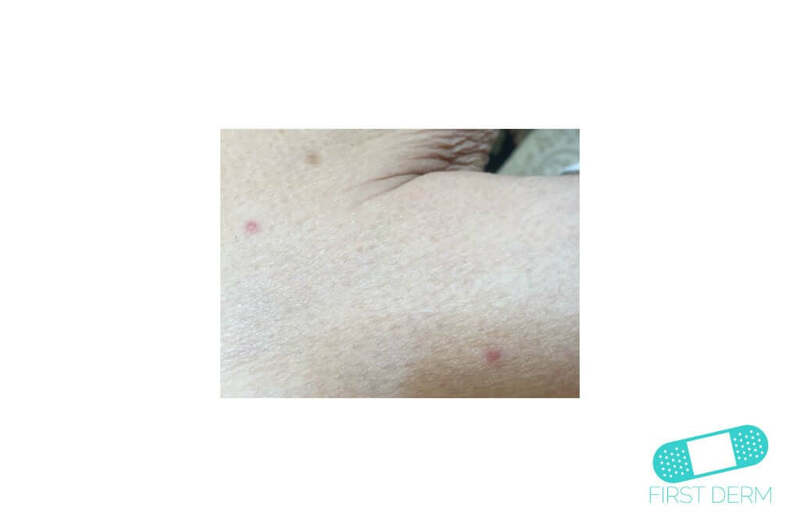 Also, you should try not to scratch the skin even though it itches – scratching worsens the symptoms of lichen planus. 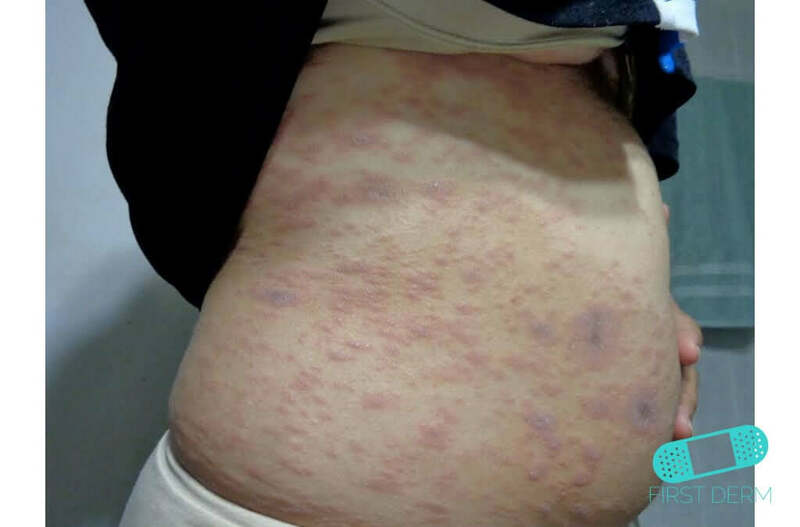 Contact your healthcare provider if the rashes become very itchy, spread to other parts of the body, start tearing up or is located in an area that constantly rub against your clothes. 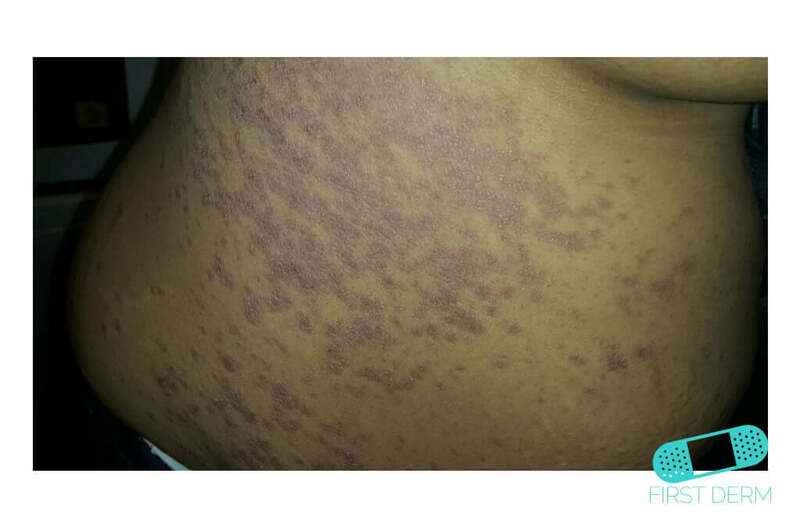 If you are infected with lichen planus in the genital area, you can consult a doctor to get a referral to a gynecologist. If you have the rash in your mouth, you can turn to a dentist for help. Stress may play a part in a number of skin diseases. If possible, try to avoid stressful life events (we know it is easier said than done). 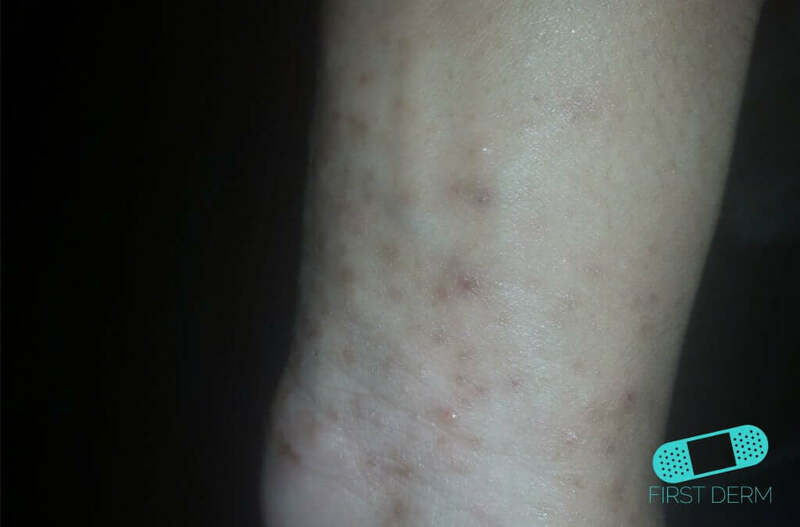 It is also important to avoid scratching the skin as the rash then may spread as a response to the trauma (stress) in the skin from scratching.  If the rash does not disappear by itself and the itching has developed into a serious problem, treatment with topical steroids may be an option, either as a cream or ointment. Sometimes tablets may be required from your dermatologist.